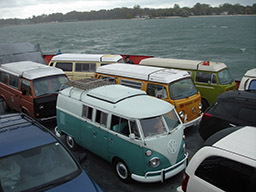 The Lake Erie Area Kombi Owner's Involvement League (LEAKOIL) is an informal organization of VW Bus owners based primarily in the states bordering Lake Erie, but open to all Bus enthusiasts. 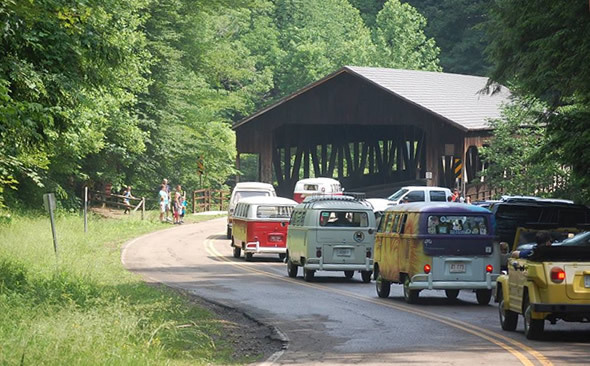 All generations are welcome - both of the Bus and of the members! We are an official chapter of the international bus group, the Northeast Association of Transporter Owners (NEATO). There are no dues and no meetings; however, there are informal gatherings on the third Thursday of each month. 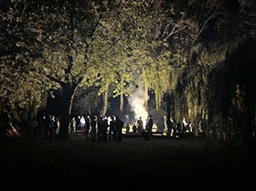 The location may change based on seasonal events, so check the Upcoming Events thread for details. 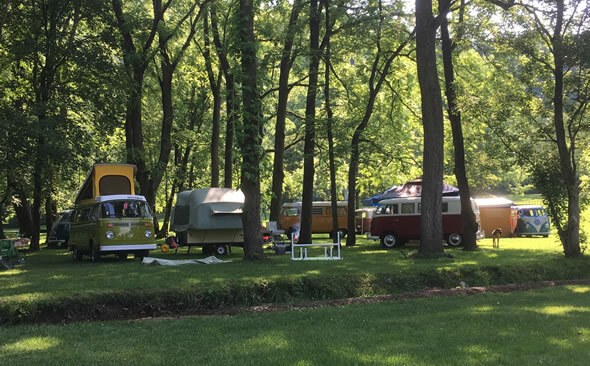 Our members also participate in campouts, shows, and swap meets each season - some sponsored by LEAKOIL, others not, but all are in the spirit of enjoying the Bus scene and good company. 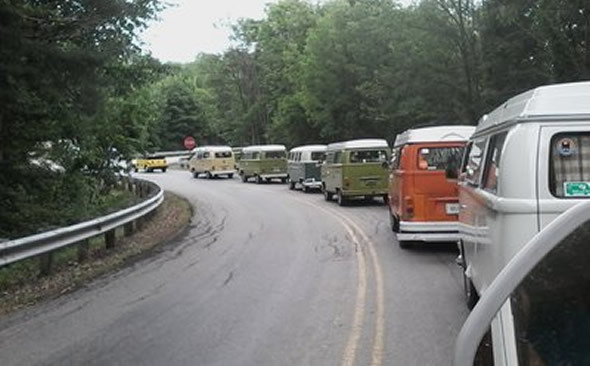 Our main LEAKOIL event each year is "Kombis on Kelleys", a three day campout held at the 4-H Camp on Kelleys Island on Lake Erie. 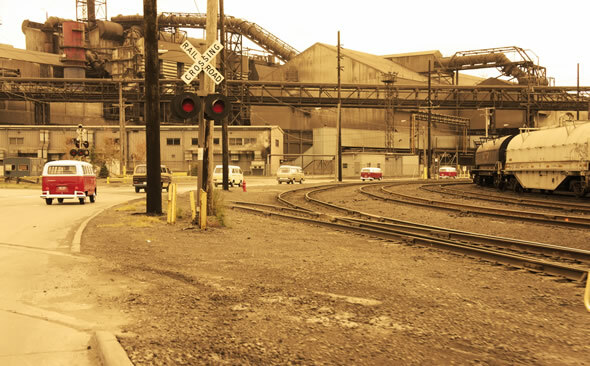 This family friendly event is held Friday through Sunday over Columbus Day weekend. Past events have yielded around 70 buses. The 4-H Camp offers a relaxing beach on the lake, a large dining hall, and warm showers! Events include breakfast Saturday and Sunday, a potluck, and whatever else our members come up with. 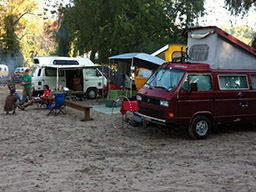 See the Kombis on Kelleys thread for more information. Membership in LEAKOIL is free, as is the use of this website and its accompanying Facebook group. 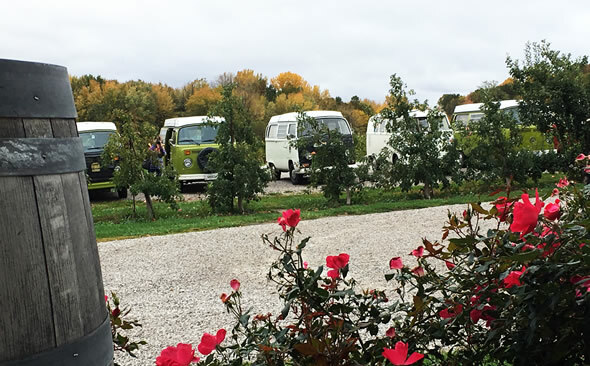 The only criteria for membership is to own a VW Bus. 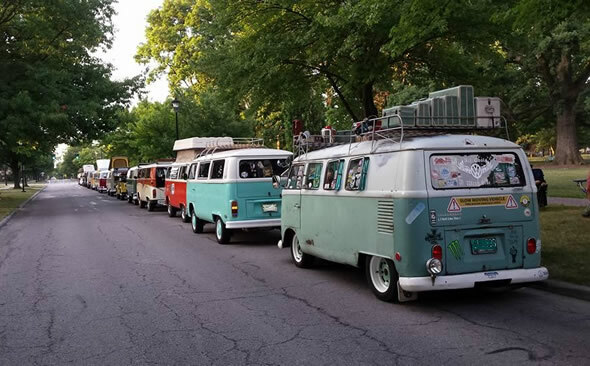 The online iterations of LEAKOIL are intended to keep members connected between gatherings, to share information regarding the VW Bus and related events, and to attract new members. While there are obvious overlaps between the two, it is best to use this site for technical questions and to stay abreast of upcoming events, while the Facebook group works well as an informal hangout. When participaing on this site, the Facebook group, or attending a LEAKOIL event, you are agreeing to the terms of conduct set by the governing council. In general as a member or guest, you are expected to treat others with respect and to conduct yourself with a modicum of dignity appropriate for a family friendly gathering. For further information regarding LEAKOIL guidelines be sure to visit the "First time here? Read This!" thread. It is your repsonsibility to be aware of these guidelines. For further information about LEAKOIL, post to the forums or contact webmaster@leakoil.net. LEAKOIL is an unincorporated association organized under Ohio law pursuant to Ohio Revised Code 1745.01. Our name and logo are registered with the Ohio Secretary of State. Our Constitution and Bylaws authorize the creation of a "Council" comprised of several members appointed by our Chairman. The Council is the governing body of LEAKOIL and is the exclusive entity responsible for leading the organization, maintaining this website, and organizing official events.